While a “pinched” nerve isn’t an actual medical designation, it is a quite accurate description of what this common problem feels like. The nerve endings that encapsulate your spine should be clear and free of any kind of obstructions. There are over twenty different bones in your spine, and each of them are there to serve the purpose of protecting your back and providing a full range of motion for most of your body. The nerve rods in your back, of which there are two, come off of your spine and aid the rest of the organs and systems within your body. If these nerves are obstructed in any way, even just a little bit, your brain will be unable to regulate the rest of your body. In the event that a spinal bone becomes out of place or positioned incorrectly, it will cause problems with these nerves. We call this a subluxation, and it can be the cause of many other issues in the body. – This is the medical term for a pinched nerve. Regardless of the supposed commonality of this condition, it is actually very rare. It’s more likely that you’ve experienced a facilitative lesion. 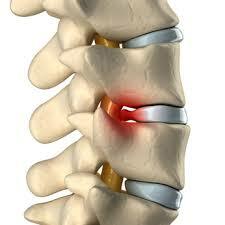 – This is the name for when the root of a nerve becomes positioned improperly, or is damaged. Imagine what it would be like if hard tissue were to continually make contact with soft tissue. Bones are immovable parts of the body. They’ll only do so at the discretion of your musculature. And muscles cannot do this without being told to do so by the nervous system—thus an irritated nerve can cause problems throughout the entire system. As chiropractors, our duty is to find these kinds of issues and correct them. How long will it be before my nerve irritation is relieved? Many patients are able to enjoy relief from their nerve irritation right away. However, this is not always the case, and many will learn that the process may take weeks or months. It varies on a lot of different factors, including but not limited to how long you’ve had the issue, whether or not you’re making it to all of your appointments, and if your lifestyle is promoting proper healing. I know someone who only required one visit. Will my experience be similar? In some truly rare circumstances, a single visit to the chiropractor will result in a full recovery and resolution of pain. This is generally not the case though, so we would recommend that you do not count on it nor expect it to be your experience. In many cases, the relief is only temporary and a relapse will eventually occur. We find that patients reporting single treatments as having “fixed everything” are usually going to need more appointments at some point down the road.